This is my 2nd illustrated book, featuring a cartoon version of my own daughter. 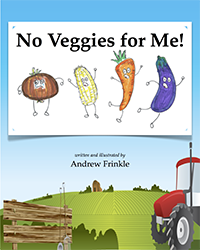 This 8x10 inch full color picture book features fun marker sketches of tons of veggies, all with a reason for why my daughter can't eat them. Wait until you see what she CAN eat!